Stay within the residential and lively neighborhood of Zirakpur with Hotel The Kuber. The well-designed rooms will suit various leisure and business travelers in this city. 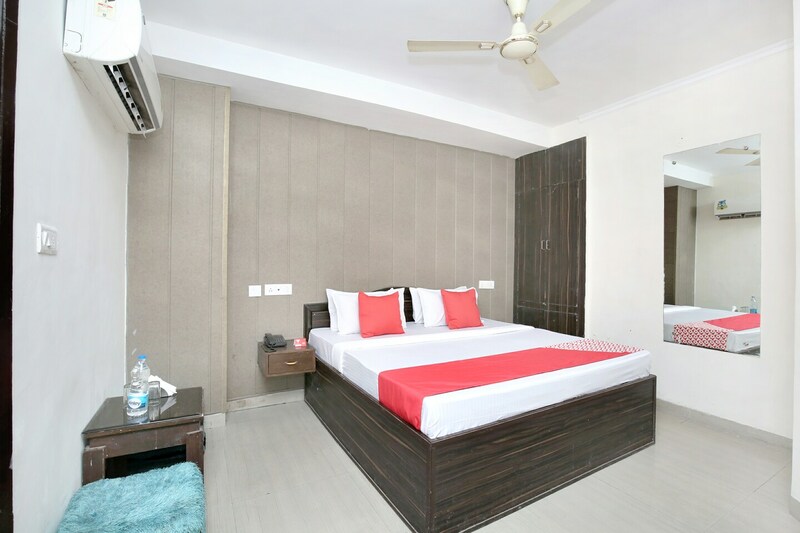 The spacious rooms are well lit, pleasant and comfortable with wooden furnishing and soothing decor. Guests can avail the facilities of free Wi-Fi, card payment, and laundry service. The seating area is a fine place for guests gatherings. The kitchen and dining area are modern space for guests to indulge in local cuisines, another viable option is a well-equipped kitchen to beat hunger pangs. Various attractions like Cactus Garden, The Fort Ramgarh, and Mansa Devi Temple are a must visit.